THE FIRST-EVER HALLMARK CHANNEL FAN CELEBRATION WEEKEND! For the first time ever, Hallmark Channel is hosting a Fan Celebration Weekend that provides a once-in-a-lifetime chance to get up close and personal with some of your favorite stars from the network! Hallmark Channel's June Weddings Fan Celebration will be held on May 18-19 at Elvis Presley’s Graceland in Memphis. Hallmark Channel fans will enjoy two days packed full of one-of-a-kind events and interactive activities celebrating the channel’s annual lineup of wedding-inspired original movie premieres every Saturday night in June. 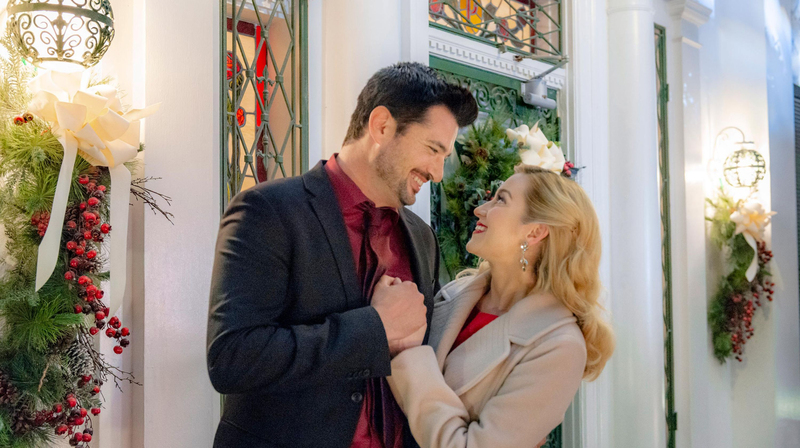 Joining the event will be Kellie Pickler, Wes Brown, Tamara Austin, Claire Elizabeth Green and Tommy Cresswell, all stars of the Hallmark Channel original movie Wedding at Graceland, which will premiere Saturday, June 1 at 9pm/8c on Hallmark Channel. In addition, we have an all-star line-up of other fan-favorites that will make this a truly extraordinary weekend for Hallmark Channel fans, including Jack Wagner, Josie Bissett and Jill Wagner. RSVP and join us for an unforgettable weekend of Hallmark Channel Stars, Panel Discussions, Sneak Peeks, Live Music, Themed Parties, Fun Food, Games, Prizes, Scavenger Hunts, Champagne Toasts, Wedding Cakes, Bouquet Tosses, Elvis and more. Ticket packages are now available for this amazing experience. Four levels of ticket options are available starting at $75. Find your match made in heaven with the package that’s right for you!